who is the american popol vuh? that record sounds a lot like popol vuh! pharaoh sanders is an american. Ex Cocaine throw down some Vuh vibes, but I realize they aren't REALLY an analog. yes, of course. The Dead are just THE DEAD. ALICE COLTRANE is the American Popol Vuh. Harvey Fierstein is the american Topol, duh. my answers are still pharaoh sanders and charalambides. CD promos will be sent to all press, web and radio over the coming weeks, please email back to ensure you receive a copy. and that's all I've found so far! Some of Steven R. Smith's stuff verges on Popol Vuh. Ulaan Khol's numbered albums specifically. Gets fairly noisy but reminds me of the early PV stuff and a little of the heart of glass soundtrack. Hmm, Espers II doesn't have a PV feel for me at all -- I like it, but not the same. 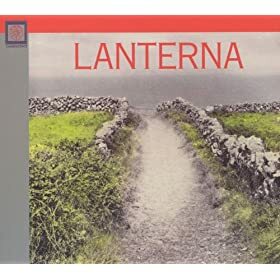 Did anyone listen to that Lanterna song? It really sounds like PV! I dled that mix-- not surprised to see Peter Michael Hamel in there! Who is Ulaan Khol? Around 3:45 it really starts going! Def looking into that one. Ulaan Khol is Steven R Smith who does stuff under lots of different names but mostly as an associate of the Jewelled Antler guys I think. I have some Steven R Smith stuff and some Hala Strana, but I don't really know his other things. so is most of steven r smith's stuff like this or just that one? i just googled and it didn't really bring up a whole lot of useful info outside of this http://worstward.bandcamp.com/ <--- this is all him right? that's him alright, he's quite a productive guy! ooooh that BSE song is good! QUESTION -- are there albums where he (SRS) plays with drums? ok can confirm -- hala strana def has drums. this guy is awesome! Steve Tibbets was the American PV IMO (I dunno if he does stuff anymore-- I'm referring to his ECM albums). you all heard this, right? Years ago walking home from work I would periodically see this LaMonte Young looking dude playing this stain glass patterned butterfly shaped electric guitar through this (presumably) battery powered amp. He had the crappy built in amp chorus and reverb cranked all the way up, playing drifty noodly stuff with a cigarillo in his mouth. 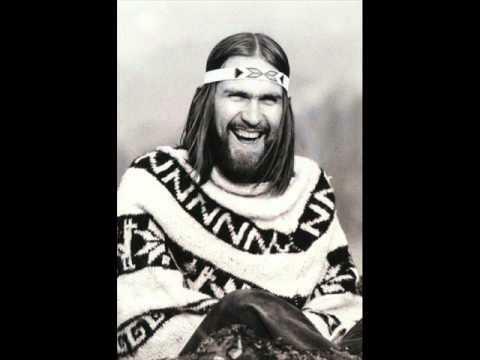 Anyway, I'm pretty sure this dude was the American Popol Vuh. tlg -- no, but it's lovely! where did you find it? for all american popol vuh seekers, i strongly recommend chris forsyth's paranoid cat. the first and last songs in particular (paranoid cat 1-3 and anniversary day) for pure LT-LN outtakes. amazing! beautiful. That kid is otm! Wish I had bought the lp at the show but the merch table was unmanned and I was embarrassed to ask anyone. Stupid!! what's stupid is I saw that LP at the record store for $7(!) and didn't buy it then went back bc I was stupid and it was gone. then I went back weeks later and I found it stashed somewhere else in the store entirely. like in the techno section iirc? Odd. I bought it. it's so good though right?! paranoid cat 1-3 sounds so much like LT-LN/Heart of Glass era PV to me. it's pretty incredible! I saw the forsyth self-titled recently but didnt get it. Probably should do that. Still have to get solar motel. Wow, I'll have to look for that. I like Solar Motel a lot, but that's on some motorik Neu!/Rhys Chatham tip. is robbie basho the american popol vuh??? I'd say at the heart of both artist's endeavors that's pretty close. He has the intent and seriousness of Florian Fricke's mysticism. A friend who I tried playing both Basho and Popol Vuh for responded in a similar way to each, something about those guys are serious hippies. did robbie basho have a daniel fichelscher? Does anyone here like Atman? The Polish band that were on Drunken Fish that became the Magic Carpathians? Just listened to 'Personal Forest' again for the first in years and it sounded a lot better to me than I remembered. Think that listening to PV and other stuff in the interim has given me a much better understanding of where they were coming from. No I guess he had no daniel fichelscher, the popol vuh record that brings to mind Basho the most is Yoga which isn't exactly a popol vuh record. But when I first heard it years ago it was sort of a revelation to me. Now that I know the story behind it, I still like it a lot. You would think there are more home recordings laying around somewhere? Does he? Dang, I thought I was bringing some deep cuts here. I'd be down for a thread though. Dang! Bookmarked for later learning. has he stopped singing? the last time i listened to his music, he was singing and it was not my cup of tea. i like his guitar stuff though -- he definitely has an ear for the sublime.